In education, we work to create opportunities for all. This work asks us to engage our hearts and believe in the capabilities of every person. As an educational leader, my goal is to create the conditions that allow people to dream of a better life. Be it helping struggling students or making teachers great; ensuring every school is capable of creating transformative learning experiences or ensuring that all citizens have access to a college education so that their dreams might become reality. 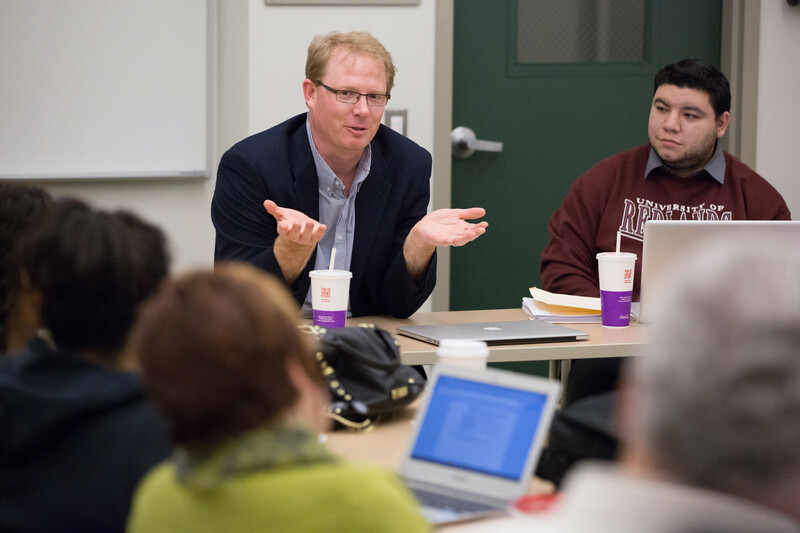 For more than 90 years, the University of Redlands has been a leader in preparing teachers, counselors and administrators for educational leadership in Southern California. Pairing intensive practical experiences with cutting-edge theory and a focus on educational justice, graduates from the School of Education enter the workforce exceptionally well-prepared to make a difference in the lives of their students and communities. The University of Redlands School of Education offers credential and degree program classes and workshops at our main campus in Redlands, Calif., and at several branch campuses in Rancho Cucamonga, Riverside, and Temecula. Not all programs are held at all campuses, so be sure to visit our regional campus pages below for complete details and locations. Use our convenient online scheduling tool to make a phone or in-person appointment with one of our campus enrollment staff members.